"I have known Brent Howard for nearly 30 years. We both attended Clark High School and also worked together at a supermarket. I have used Brent for all of my accounting needs for many years; both personal and professional. I have found Brent to be very professional and thorough with his work. I have not hesitated in the past to recommend him to many of my fellow lawyers as well as clients." "Brent Howard has been our accountant since 1997. I have complete confidence in his knowledge and timely manner of which is important to our business." 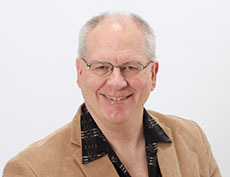 "Brent Howard of BHI Bookkeeping has been our accountant since 1988. I enjoy giving my recommendation for his excellent services; including himself and his entire staff. I find their services highly efficient and very beneficial to my business." "Brent Howard has been with us for 17 years as our accountant. He has always been on time and accurate. His help includes keeping us knowledgeable on the latest tax laws. Brent's services have also included incorporating all of our companies. We would highly recommend his services." "I have used Brent Howard for all of my accounting needs since 1994. I found that his staff and himself to be most helpful, precise, and we would highly recommend them for all of your personal and business needs and advice." "Brent Howard has been my accountant since 1988. BHI Bookkeeping has always taken care of my bookkeeping needs with exceptional accuracy and timeliness. When I have needed extra special attention Brent has always been available to assist myself or my business." "Brent Howard has been my "Business Accountant" at O'Aces Bar and Grill since 1994. I have always found his services to be of the highest standards from both him and his staff. I would be proud to recommend him." "Brent Howard has been our accountant since 1992 for my three businesses: Larry Villa, True Value Rancho Home Center, and Larry's Hideaway. I have always had a pleasant experience with Brent and his entire staff. I would highly recommend his services to anyone." "Brent Howard has been my accountant since he was right out of college nearly 33 years ago. During this time I have found him to be prompt and accurate- always taking care of my business and never too busy to hold a consultation with me.. Brent's accounting priorities of accuracy and attention to all of my business needs have always been honored by his staff as well as himself. I would be very happy to answer any inquiries regarding his bookkeeping standards as well as my confidence in Brent."